FRESH from their dramatic title victory in the Premier League with Manchester City, footballers Gareth Barry and James Milner were celebrating again today after finding out about their call-ups to the England squad during the curtain-raising pro-am at the Volvo World Matchplay Championship in Spain. The pair were playing with compatriot Robert Rock, a two-time European Tour champion, at Finca Cortesin when they received a text from the English FA informing them of their selection by Roy Hodgson in England’s 23-man squad for the European Championships in Poland and the Ukraine this summer. Although their team finished 22nd out of 24, Barry and Milner were in a relaxed mood, picking up some useful golfing tips from former teaching professional Rock, who held off Tiger Woods earlier this season to win the Abu Dhabi HSBC Golf Championship. “It was very enjoyable,” said midfielder Barry. “It’s a lovely course and James and I were very lucky to be playing with Robert today. 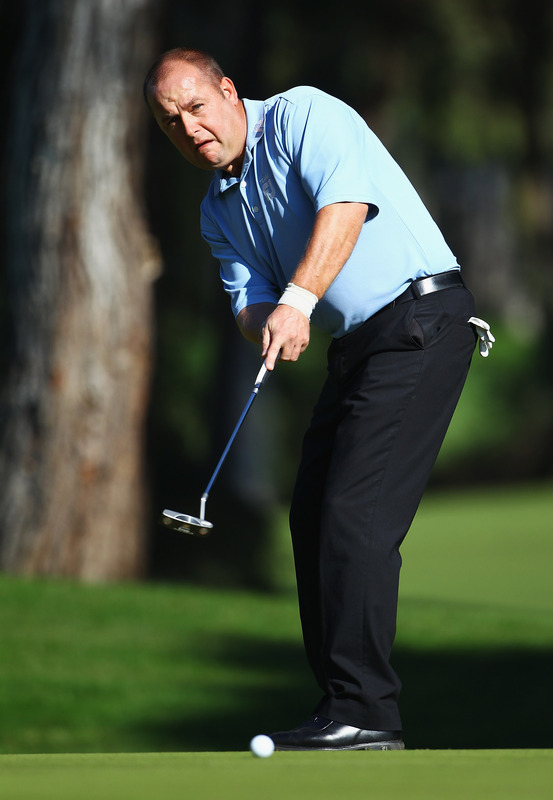 “He gave us a few tips along the way but made us feel comfortable out there on the course. I play at least once a week when the weather is good but living in Manchester it’s not always that nice. I don’t take the golf too seriously – it’s more a relaxing thing. On their England call-up for Euro 2012, Barry is looking forward to working with the new England manager Hodgson. “We found out about it on the course that James and I were both in the squad,” said Barry. “There’s a new manager and it’s nice to be in his plans to start with. You should never take too much for granted, especially with a new manager and fresh ideas so we were very happy to be included. Rock, who will face another Englishman, Justin Rose, in Thursday’s first round before taking on Open Champion Darren Clarke on Friday, also enjoyed teeing it up alongside the two newly crowned Premier League champions. “Both of the guys were pretty good golfers and we had a good day together,” he said. “I didn’t realise until today that they were going to find out about the selection, so that was pretty cool. The pro-am was won by Sergio Garcia’s team, with the 32 year old hoping to complete a Spanish hat-trick with victory in the Volvo World Match Play Championship, having triumphed in his last two appearances on home soil at the end of 2011. Englishman Ian Poulter is the defending champion at Finca Cortesin following his victory over Luke Donald in last year’s final. 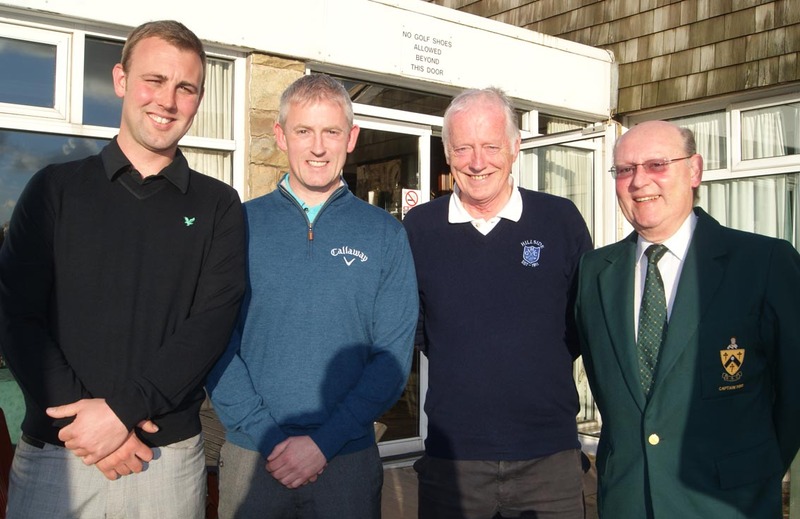 DISLEY Golf Club is holding a special open day that will make it even easier to give golf a go. The club is welcoming visitors on May 20 and anyone interested in attending should contact the club’s PGA professional Jamie Goodall on 01663 764001 for further details. Disley has been awarded GolfMark high achiever status for its beginner and child-friendly approach. Nigel homes in on Balfour Cup – but it’s a close call! 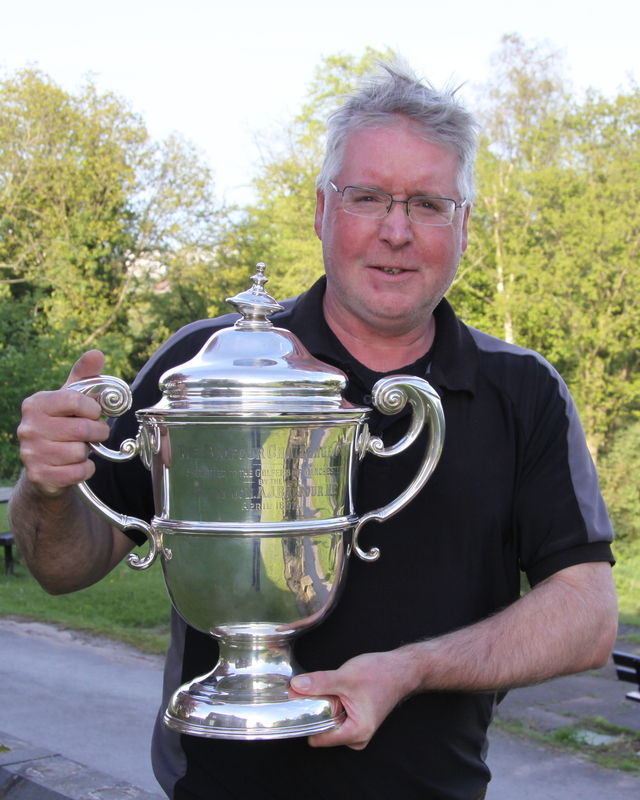 NIGEL Ashworth, a seven handicapper, homed in on the Balfour Cup – one of Manchester’s most glittering amateur trophies – with a nett 69 at his club Reddish Vale. But he only got the verdict on countback from Ellesmere’s six-ranked Steve Leece.And Reddish also claimed the gross prize, Ryan Jackson returning a fine 72. DAVENPORT hot-shot Graham Cox rounded off an astonishing season in the Manchester Alliance when he won president’s day at Ringway with a six-under-par 65. He’d already wrapped up Order of Merit by a country mile following victories in the matchplay and strokeplay championships last month. And his success at the Hale course was the icing on the cake. Now he hopes to carry his form to the European Tour School later in the year. “That’s my next target,” he said after beaten Birchwood’s Phil Archer, a Challenge Tour winner already this season, by a shot as Haigh Hall’s Craig Corrigan finished third on 68. Cox relieved the merit award, which also carries Manchester Golfer of the Year status, from Marriott Worsley Park’s Dave Smith who had held it for two seasons. The assistants’ merit went to Disley’s Scott Jackson ahead of Didsbury’s Tom Murray and Andrew Terry, of Springfield Park. All three players were not in action at Ringway – they were competing in the PGA North Region qualifier for the national Powerade Assistants’ Championship at Penwortham where Murray led the field with a 65. Jackson was second on 66 but Terry had to settle for an alternative spot. enough to win the amateur merit title despite a late challenge from clubmate John Riley and Sale’s Moby Rawthore. It was close of the day for the top amateur with a countback on nett 67 seeing Marriott Worsley Park secretary Tim Ashwin taking the prize from Rawthore with Stuart Thomason, of Hart Common, third with 69. The final win of the day came in the guest section from Bolton-based PGA North Region secretary Graham Maly, a one handicapper and former professional, posting 70 to win by a shot from Didsbury’s Mike Wardrop and Mike Brown of Flixton. DAVID Smith homed in the top individual prize in the Alliance at Marriott Worsley Park, the club where he recently became attached and where he won the Manchester Open in 2007. The former Swinton Park assistant beat a 40-strong professional field with an impressive 42 points as he boosted his outside chances of retaining the Order of Merit. He was five clear of Prestwich’s Mark Pearson as Cheadle’s Anthony Millar 36 took third place on 36. But merit leader Graham Cox, from Davenport, who won the matchplay and strokeplay titles earlier in the week, is clear odds on favourite as he now enjoys a 187-points lead with with three events remaining. It was tight in the pro am section with three pairs carding 42 points, the countback in favour of Pearson and Jim Hughes. It also needed a cpo in the am-am section on 41 points, Swinton Park’s John Riley and Ian Taylor getting the verdict. In the amateur Order of Merit Swinton Park’s Jimmy O’Reilly still has a healthy lead with 72 points from clubmate John Riley and Didsbury’s Mike Wardrop. 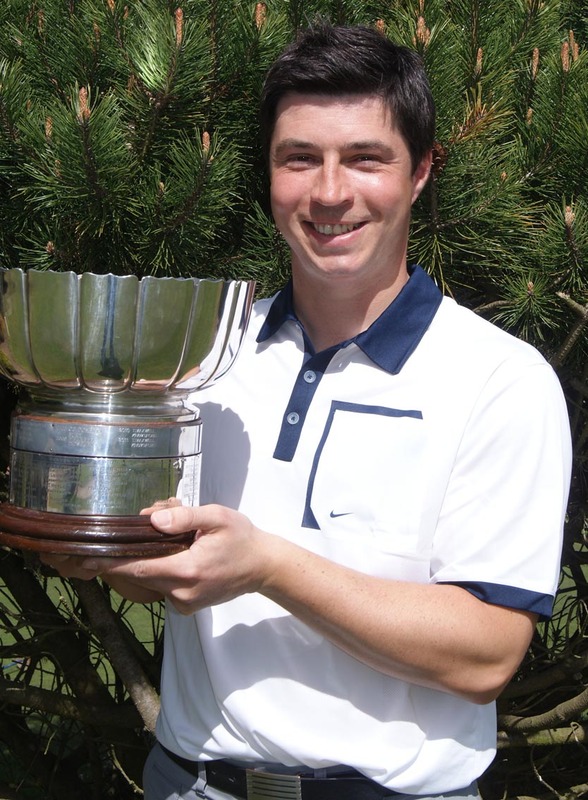 DAVENPORT assistant Graham Cox completed a Manchester Alliance double where he added the 36-hole Strokeplay Championship at Withington to the matchplay one he captured the previous day at Flixton, writes GEOFF GARNETT. His first round 67, matched by Dukinfield professional David Green, was added to a closing 69 to prevail by a shot. Green was runner-up as Chorley’s Mark Bradley finished third, three off the pace. Victory increased Cox’s lead in the Order of Merit to 651 points with title-holder David Smith, from Marriott Worsley Park, 234 adrift with three events to play. Rounds of the day were as brace of 66s by Ashton-under-Lyne’s European Tour player Matthew Nixon who was just there for the practice. 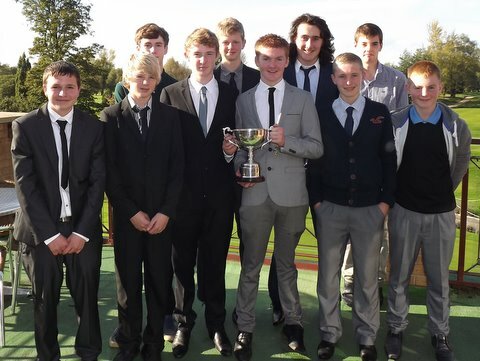 In the amateur section Styal Golf Club retained the trophy as plus one handicapper Harry Sexton posted two rounds of 73. His clubmate and trophy holder Alistair Waddell led at the half-way point with 71 but imploded with an 83 in round two. It opened the door for Sale’s Kevin Moore to take second spot with 150, one less than Northenden’s Joe York. 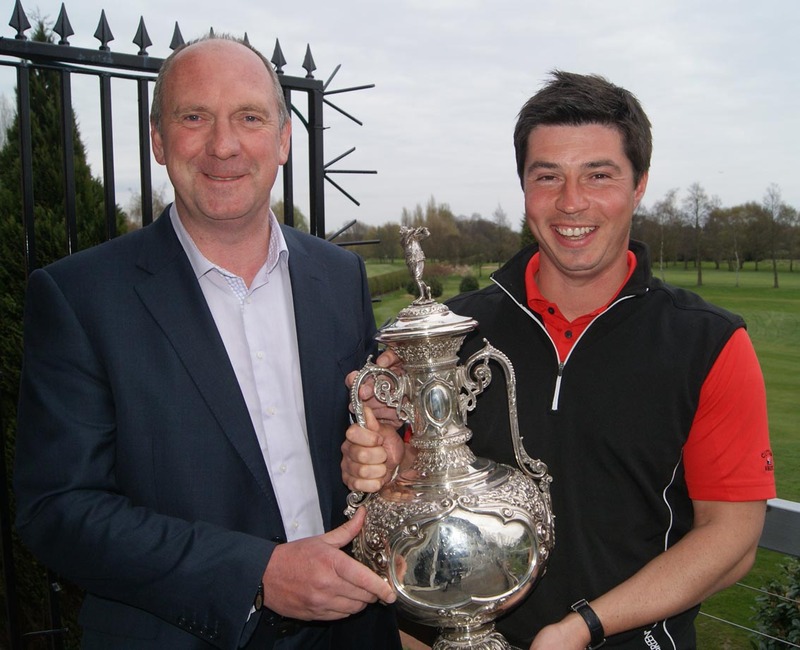 This was the fifth time in 10 years that a Styal player has won the trophy. 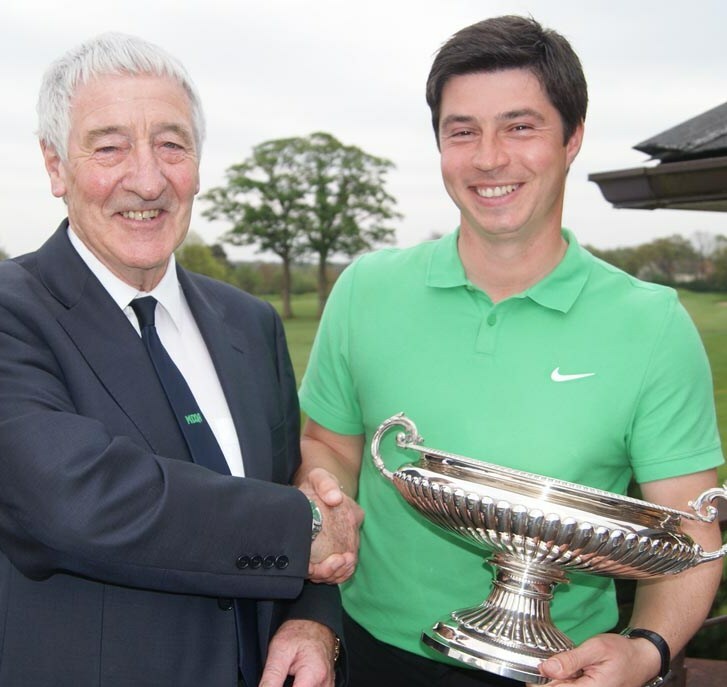 DAVID Smith, who is pursuing a hat-trick of Manchester Golfer of the Year crowns, lost ground to his nearest rival Graham Cox who beat him by one hole in the Alliance Matchplay Championship final at Flixton. Smith, who recently moved from Swinton Park to Marriott Worsley Park, was two up at the turn before Davenport assistant Cox rattled up five birdies in a row. And his victory helped to extend his lead over second placed Smith in the Order of Merit. Cox reached the final with a birdie at the first extra hole to defeat Didsbury’s Tom Murray as Smith eclipsed beat Disley’s Scott Jackson 4&3. 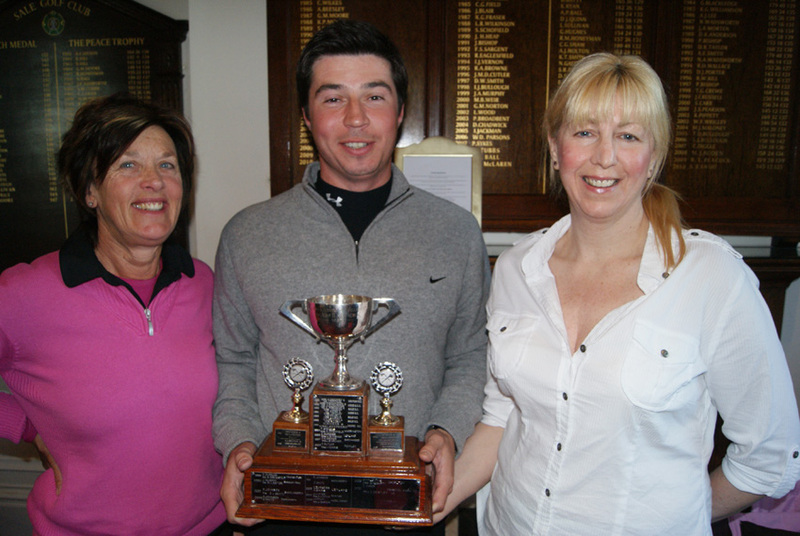 Haigh Hall’s Martin Longshaw won the assistants’ title, beating Springton Park’s Andrew Terry on the home green. Earlier, Longshaw dispatched Denton’s Jamies Tipper on the last hole as Terry cruised through 6&5 win over Cheadle’s Chris Fawcett. Meanwhile, Manchester Alliance officials reported that the two competitions drew their biggest entries for several season. assistant Scott Jackson with 37 points in the Manchester Alliance at Davenport. Bramall Park professional Craig Daggitt and clubmate Ken Thompson won the pro-am with 40 points on countback from Jackson and partner Matt Wragg. There were new names at the top of the am am section with Haydock Park duo Lee Mitchell and Rob Davies claiming the prize with 39 points. Meanwhile, Jackson faces reigning Golfer of the Year David Smith, from Marriott Worsley Park in the Alliance Matchplay Championship semi-final at Flixton on Sunday. And Didsbury assistant Tom Murray takes on Order of Merit leader Graham Cox, from Davenport. 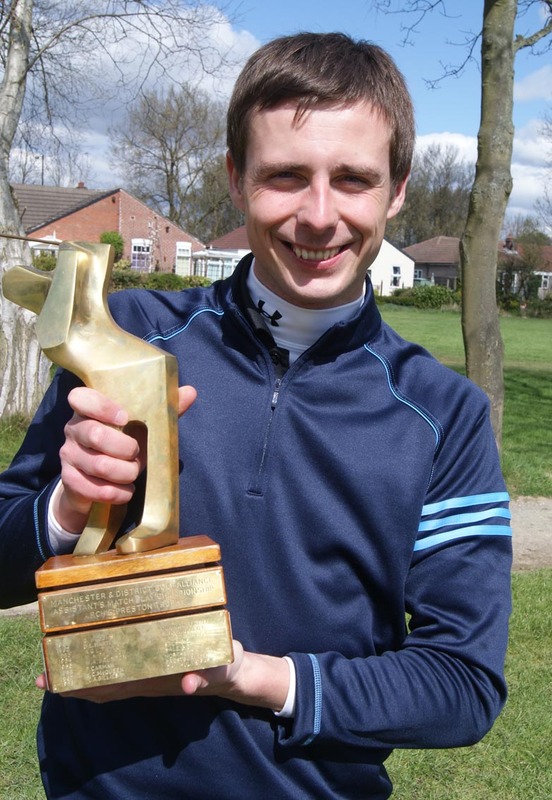 STEVE Parry called the shots in the Manchester Alliance at Chorley where he defied a wintry conditions and a strong wind to top the individual section with 37 points. 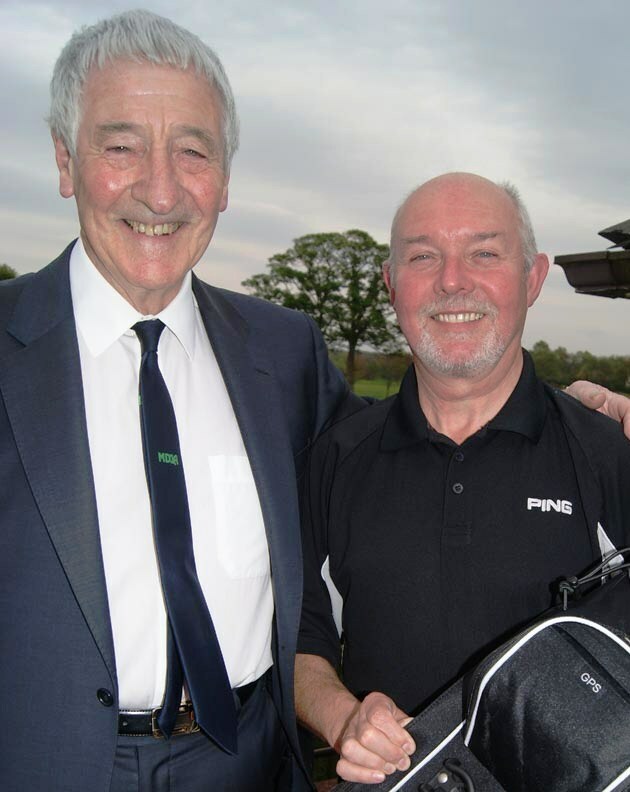 And the Hart Common professional, who runs his own North Wwst Golf Academy at the Westhoughton club, made it a double pay day by winning the pro-am with clubmate Terry Battersby. Their haul of 43 points left Davenport assistant Graham Cox and Hopwood’s Vinny Doyle one short and in second place. 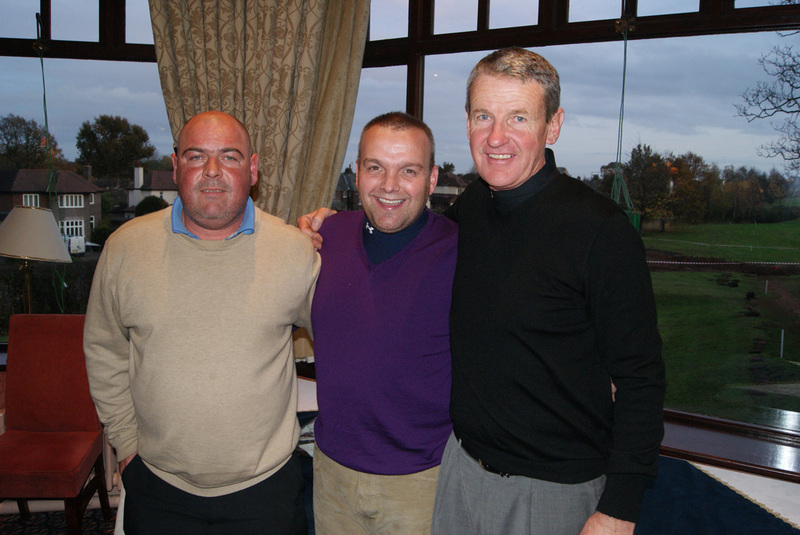 An eagle on the 13th helped Cheadle’s Mick Holmes and Andy Hall win the am-am with a fine 41 points. The consistent Steve Moores and Jordan Flint, from Crompton and Royton. were second on 40 with the Swinton Park pairing of Dave Elison and Steve Cusack third with 39. The Chorley course was in excellent condition with firm, fast greens. Many thanks to Adam Moule from Marriott Worsley Park for his sponsorship of the event. EUROPRO Tour player Danny Wardrop, attached to Didsbury, racked up 38 points to take the individual prize in the Manchester Alliance team competition at Buxton, one more than Marriott Worsley Park’s David Smith and host club’s Nick Berry. Pro Richard Green led his Bramhall clubmates Ian King, Mike Spencer and Darren Whittaker to victory in the team event after a 90-point card play-off with Bramall Park’s Liam Burgess, John Francis, Andrew New and Sam Lynch. 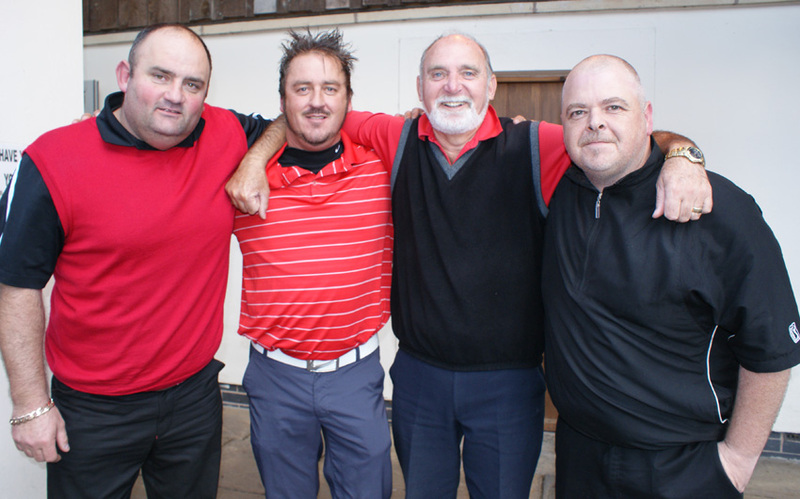 MANCHESTER fell one point short in the National Alliance Championship at Huddersfield course Crosland Heath. Each team consisted of five pairs, mainly pro and amateur partners, with the top four scores counting for the team total and there were also prizes for the top individual professionals. They set the early target pace with 171 points, Swinton Park duo David Smith and Jimmy O’Reilly contributing 44 and Knutsford pro Tim Maxwell and partner Mobi Rawthore, from Sale, 43. It looked as if Manchester, whose president John Dowd instigated the event 12 years ago and whose trophy is player for, would win for the third time until the final putt of the day saw Nottinghamshire Two finish a point ahead of them. Smith, meanwhile, was in a four-way tie for the best individual pro score of 41 points. DISLEY assistant Scott Jackson enjoyed a double pay day in the Manchester Alliance fixture at Swinton Park. The former EuroPro player showed his class with a superb seven-under-par 66 which equated to 43 stableford points to lead the individual stakes by four from host club’s David Smith and Order of Merit leader Graham Cox, from Davenport. 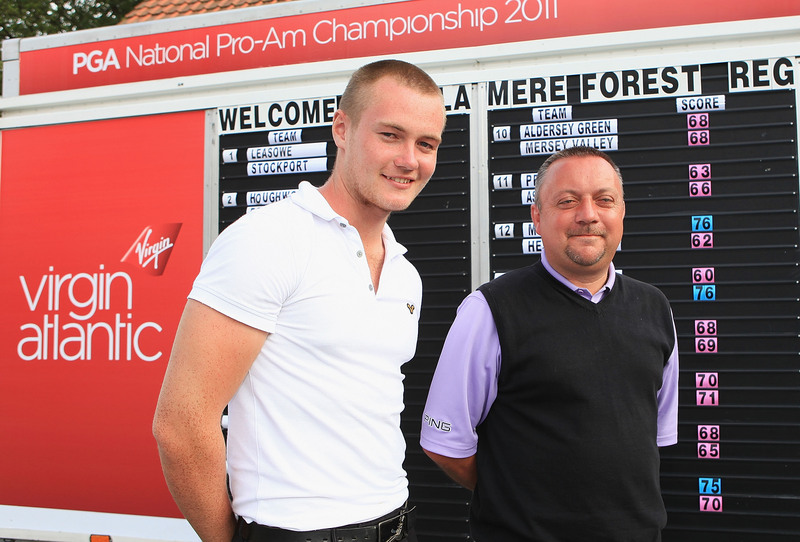 Jackson and Matt Wragg, his regular Disley partner, also cruised to victory in the pro am section with 46 points. 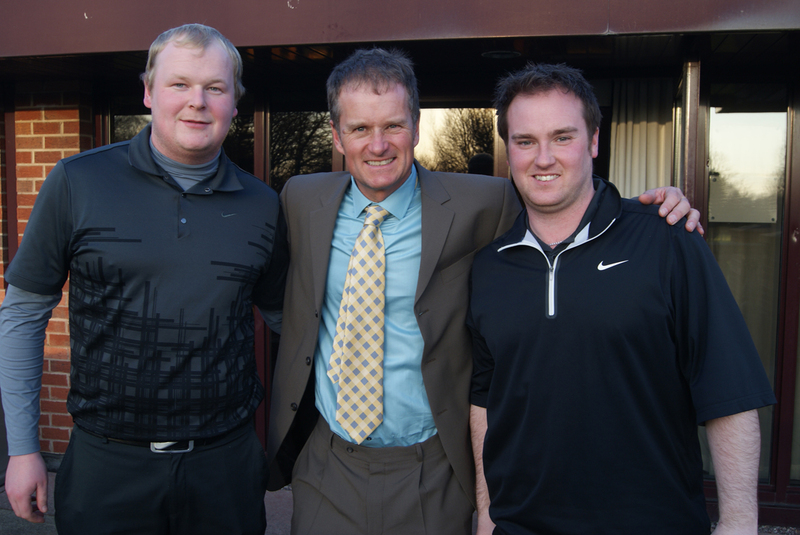 Blackley’s Michael Smith and Alistair White won the am-am with 42 points. 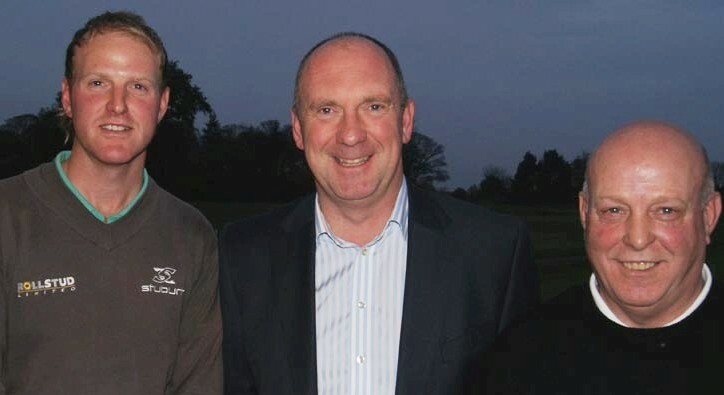 PHIL Archer returned to his home club Birchwood following his Challenge Tour victory in Colombia last weekend – but he was upstaged in the Manchester Alliance by Knutsford professional Tim Maxwell. He took time out from his busy Maxitours schedule to top the individual section with 41 points, two ahead of Didsbury’s Danny Wardrop as Archer and Swinton Park’s David Smith ties third on 38.It was tight in the pro am section with just a point separating the top six pairs, Order of Merit leader Graham Cox and his Davenport partner Matt Dent took the honours with 42.That was also the score that earned Hart Common pair Marcus Corfield and Simon Cudlip the am-am prize. HART Common swept the board in the Manchester Alliance at Saddleworth. Former Leeds Cup winner Steve Parry, who runs his own golf academy at the Westhoughton club, rattled off 39 points to win the professional prize. He also partnered Alliance captain Vinny Doyle, a member of centenary club Manchester, to victory in the pro-am with 44 points. And Hart Common made it a hat-trick when Jack Crompton and Wally Werson clinched the am-am with 40 points. 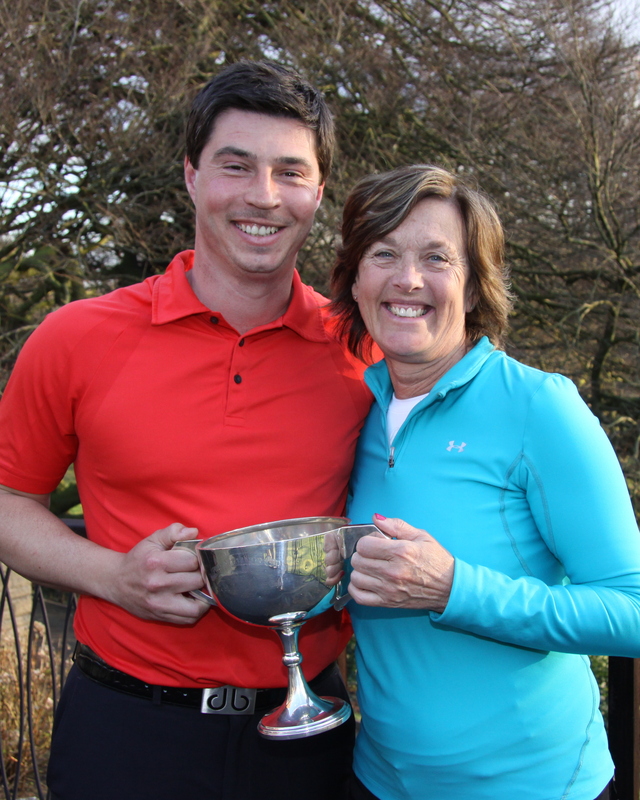 DAVENPORT assistant profession Graham Cox, fresh from his victory in last week’s PGA North Region pro-am in Portugal, joined forces with clubmate Linda Lomax to retain the Manchester Alliance White Cup at Chorlton. They amassed 36 points to prevail by one from Bramhall pair, European Senior Tour player Richard Green, and Caroline McGeorge. Bolton Old Links duo Mark Hancock and Laura Johnson were third on 34 points. St Andrews was dropped from its title when the latter ceased playing in 1883 and was originally located at Manley Park in Whalley Range. But the nine-hole course was available for play only in the autumn and winter because the farmer needed the land to graze sheep in the spring and summer! Building encroachment caused the club to move to Trafford Park in May 1898 but further development of the Manchester Ship Canal resulted in its final move to Hopwood Park in Middleton. The opening centenary event is on Sunday, April 15, which includes a traditional Hickory Shaft match organised by the British Golf Collectors’ Society and a luncheon to launch the memorabilia. It will be a reminder of how golf would have been played at Hopwood in 1912. And among other activities, David Edwards will present his world famous trick shot show on Thursday, July 5. The centenary also marks professional Brian Connor’s House of Golf 25th anniversary and on July 29 he is staging an open day which will comprise a huge demo day on the driving range, short game and putting clinics sponsored and manned by leading brands and the Golf Performance Centre and Putting Lab will be open for golfers to view and learn more about. There will also be free clinics for ladies and juniors and a number of informal seminars in the clubhouse. Full details will be posted nearer the time but if you would like to be kept informed you could add a link to email for details (mailto:houseofgolf@btinternet.com) or telephone on 0161 655 3668. The annual Search for a Gold Star Junior Open on August 13 has been linked to the Olympic Inspire Programme and therefore there will be a variety of activities at the club on this date to invite young people to Get into Golf. DIARY: April 15: Hopwood Hickory Shaft Match & lunch. April 15: Hopwood Memorabilia Launch & lunch. 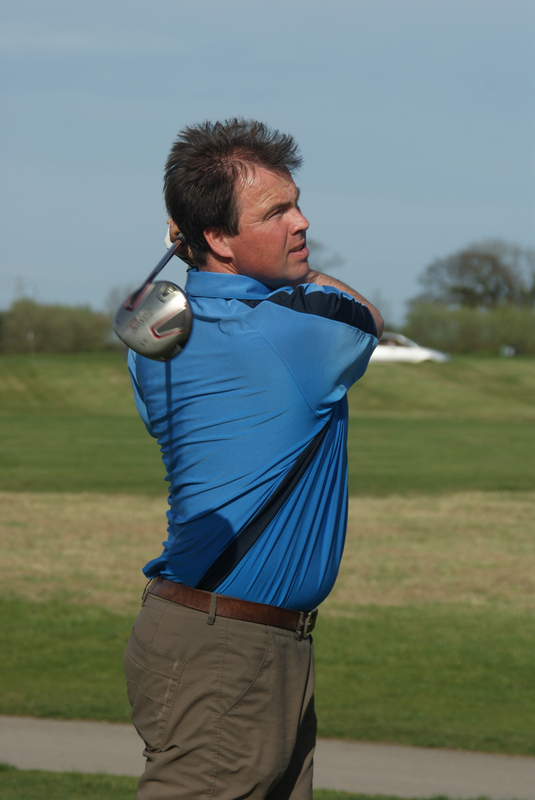 July 5: David Edwards’ Trick Shot Show & members’ stableford. July 7: The Centenary Summer Ball. July 10: Manchester Golf Club v Old Manchester Golf Club. July 29: Brian Connor’s House of Golf 25th anniversary showcase event. August 13: Search for a Gold Star Junior Open. September 22: The Hopwood 100 Competition Final & Presentation. 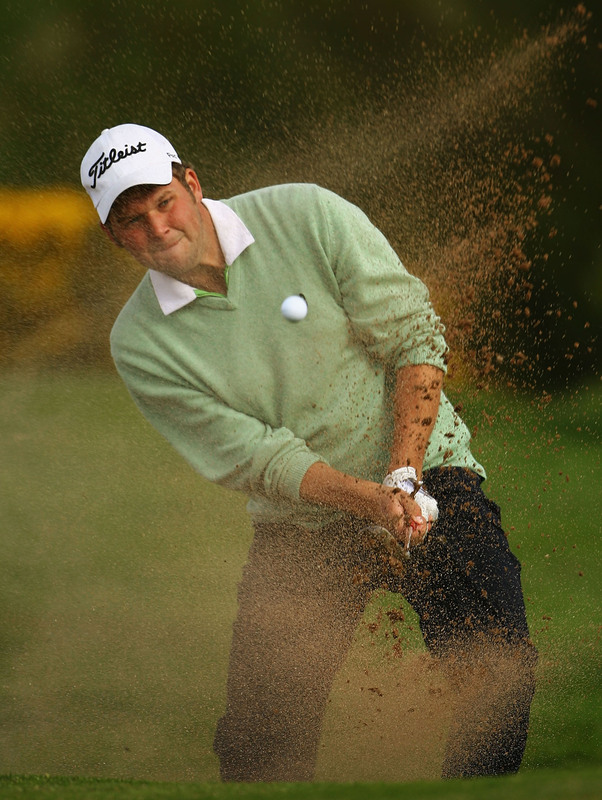 PHIL Archer, embarking on his second Challenge Tour campaign after losing his card for the main European Circuit at the end of 2010, led the professional section in the Manchester Alliance at Leyland with an impressive haul of 43 stableford points. And the Birchwood-attached player completed a double with Warrington’s Anton Johnson, claiming the pro-am prize with 45 points. District LGA which has nearly 100 clubs within a 25-mile radius of the city centre. The association is in its 110th year and goes from strength to strength. Top event is the Team Knock Out for the coveted Bell Cup which Warrington win last season. 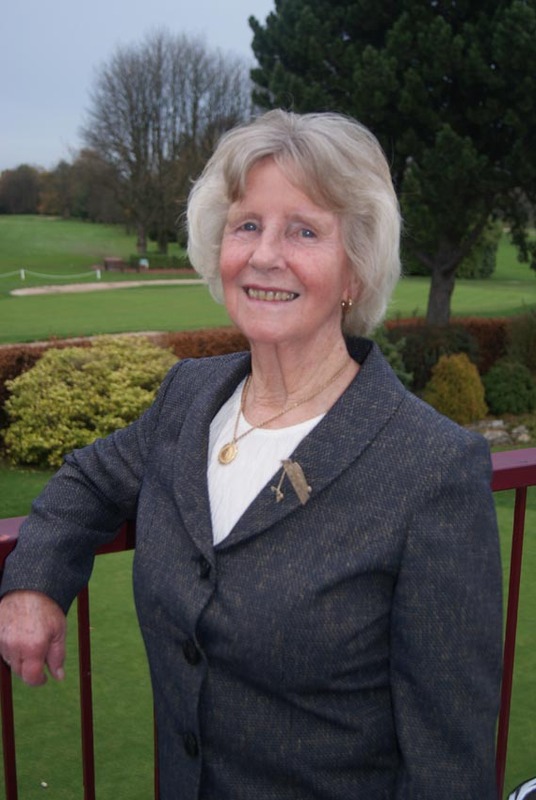 Jean brings a wealth of experience to her role having served on her club committee in various capacities including five years as women’s secretary and was lady captain in 1993. She played in East Cheshire League Shield matches for almost 30 years and she was also the club delegate to Cheshire from 2006-09. “Northenden will also host the Bell Cup finals day on September 10 which is a terrific first for the club,” she said. DIARY- June 1: Bunty Booth final (Leigh); July 6: Challenge Cup and Lloyd Jones Trophy (Saddleworth); August 10: Team event (Prestbury); September 14: -Greensome competition (Blackburn). Entry forms etc available in all member clubs. Cheetham finished two clear of Marple’s Scott Howarth and Didsbury assistant Tom Murray in the individual stakes. Disbury pro Peter Barber and his brother Steve Barber, fromCastle Hawk, Howarth and Mellor and Townscliffe partner Sid Hodkinson shared second spot three points off the pace. It was a tight finish in the am-am with Leigh’s Steve Dagger and Mark Riley getting the verdict with 41 points on countback from Stuart Thomasson and Tim Ball (Hart Common) and Dave Rowlands and Andy Collier (Leigh). THE year is shaping up to be an exciting one at Trafford Golf Centre, formerly the Playgolf Driving Range. The building, immediately adjacent to Junction 10 of the M60 on the doorstep of shopping zone and close to Chillfactore, is under the new management of Peel Land & Property who plan to carry out an extensive upgrade and refurbishment of the centre over the course of 2012. The facility offers top class facilities with 57 undercover driving bays over two tiers, four on-site PGA qualified teaching professionals, four state-of-the-art teaching bays, an American Golf store and extensive free on-site car parking. For a limited time, anyone who signs up on the Trafford Golf Centre website (traffordgolfcentre.co.uk) has the chance to win five free golf lessons with a professional Golfer of your choice. STANDISH Golf Club, the overnight leaders, had to settle for fourth place in the Virgin Atlantic PGA National Pro-Am Championship in Las Vegas. Professional Stuart McGrath and amateur partner Michael Connor followed up their opening 67 with a 69 which left them on six-under-par and four shots behind Biggin Hill duo Craig Sutherland and Colin Rutter from Cherry Lodge. Professional Craig Sutherland and Colin Rutter signed off with 64 at the Loews Lake Las Vegas Resort to win by two strokes from Irish club Ashbourne and Sheffield club Renishaw Park. Resort in Nevada. Hot on their heels in the 36-hole event, which is supported by SkyCaddie and BMW, are a trio of clubs in second place – Cherry Lodge Golf Club, Marriott Dalmahoy Golf and Country Club and Renishaw Park Golf Club who returned 68s while Irish representatives, Ashbourne, are a stroke further back at two under. Standish made a sluggish start to their bid to win Europe’s largest pro-am with bogeys on the opening two holes on the Jack Nicklaus-designed SouthShore course and were in danger of a third dropped shot until McGrath holed a tricky four footer on the par three fourth. Connor then chipped in with nett birdies on seven and nine before the pair turned on the style over the back nine with further birdies at 11, 13, 17 and 18 with an eagle on the par four 12th. “Mike went into overdrive on the back nine, just like he did in the regional final, and that got us into contention,” said McGrath. Two dropped shots on the par three holes 14 and 16 briefly threatened to derail their round but they finished strongly with 19-year-old Connor keeping his nerve to make a superb four nett three on the last. “I was pretty nervous on the first tee but found my swing on the back nine,” added Connor. With £5,000 at stake for the winning pro, the pressure going into the final round promises to be as hot as the Nevada sunshine and the Standish duo will face stiff competition down the stretch. The PGA National Pro-Am Championship is now its 27th competitive year with the award-winning Virgin Atlantic long haul airline sponsoring the event for the third successive year. REIGNING Manchester Golfer of the Year David Smith guaranteed his place in the European Tour School final when he finished in a share of sixth place in the second stage qualifer at El Valle in Murcia. The De Vere Leeds Cup winner and Lancashire PGA champion from Swinton Park signed off with a 72 for a seven-under-par 72-hole total and will take his place in the six-round shoot-out starts on Saturday and Catalunya in Girona. And Ashton-under-Lyne’s Matthew Nixon, who won his card at the first attempt last year, has given himself a chance of retaining it by tying ninth at La Manga, nine-under-par all told and a shot back from Southport’s Ben Parker. But Didsbury-attached Danny Wardrop failed to clear the hurdle. Hamer was recommended for the job by his friend Stuart Taylor, a former Blundell’s Hill assistant, who also works in Dubai. “My contract is for two years and I’ll return home for a month in August and play a few regional events,” he said. “I’m keeping my game sharp because I play in the morning before starting work in the afternoon. Hamer joined the paid ranks when he was 17 and did his training at Manchester club Ellesmere which has given him its blessing. SWINTON Park’s David Smith stayed on course to reach the European Tour School final in Spain despite carding a 72 in the third round at El Valle in Murcia. The De Vere Leeds Cup winner and Lancashire PGA champion was unable to repeat his stunning finishes on the first two days when he birdied the last four holes then four of the last five in rounds of 65 and 66. But at eight-under-par all told he’s lying fourth going into today’s final round and looking in fine shape to earn a place in the final shoot-out. Ashton-under-Lyne’s Matthew Nixon, who won his card at his first attempt last year, fired a third round 69 at La Manga and is tied 18th but can’t afford too many slips this afternoon. But Danny Wardrop, attached to Didsbury, has his work cut out to reach the final stage as he lies in 47th spot at Costa Bellena. Vegas if it means winning the Virgin Atlantic PGA National Pro-Am Championship with partner Mike Connor. McGrath believes the ‘silent treatment’ might be the best tactic for winning the 36-hole tournament – supported by SkyCaddie and BMW – as it will ease any pressure on his 19-year-old partner.The pair qualified for their Stateside adventure with victory at Delamere Forest in July and will travel to Loews Lake Las Vegas Resort in Nevada from December 5-6, where they will do battle with 15 other pairings from across Great Britain and Ireland. They will be competing for a share of the £30,000 prize fund, of which £5,000 goes to the winning professional, as well as the title. McGrath thinks Connor’s big-hitting could be an asset in Vegas, but will adopt the same tact of keeping quiet that served them so well in the qualifier. “If we’re doing well, I don’t think I’ll be letting Mike know too much about it,” said McGrath. “The last thing I need with five holes left and a chance to win is an excitable 19-year-old! “Keeping quiet worked during the qualifier. There was a bit of delay just before the final few holes and the players in front of us asked us how we were going. “I said we were doing okay. I didn’t want to let them, and more importantly, Mike know we were about 10-under-par and what might happen. We then went on to finish on 12-under-par after a series of birdies. As for his partner’s prowess off the tee, that also looks like being one of the team’s strengths. “Mike’s playing off 12 but I think the Vegas course might suit him,” added McGrath. “Standish is quite tight but in the Delamere Forest qualifier, Mike showed he’s got a good drive on him and can hit the ball a long way so I might unleash him on those par fives in Vegas. “I’ve been playing regularly and not doing badly, but Mike’s probably not been practising as much as he should be so I’ve had to give him a bit of a telling off. “But he’s been texting me every day and updating his Facebook page to count down the days to Vegas. Connor, who is studying Crime and Sociology at Manchester Metropolitan, said: “It’s a real thrill to be playing in Vegas. “It took a week to sink in and it should be an unbelievable experience. “All my family are chuffed about it and I’m looking forward to playing with Stuart out there. Julie Brooker, head of national sales for Virgin Atlantic, said: “This will be Virgin Atlantic’s third year as headline partner of the PGA National Pro-Am Championship and we are absolutely looking forward to welcoming everybody on-board. “It will be an amazing experience, not only on the golf course, but for everyone to enjoy the delights that Las Vegas has to offer. Seabrook to claim the pro-am prize with 40 points. Leigh duo Steve Dagger and Mark Riley carded 42 points to win the am-am on countback from Ashton-on-Mersey’s Mike Lynch and Andy Moran. Meanwhile, clubs were reminded to return their team knock out entries early in the New Year. DUKINFIELD professional David Green revealed ice in his veins to coolly par the closing hole and earn his club victory in the inaugural Lombard Challenge, a PGA Pro-Captain Tournament in Turkey. The 31-year-old and club captain Steve Warburton held their nerves to card a second round 65 for a 13-under-par score at Antalya. Green’s par on the last, courtesy of a booming drive and nine iron to 15 ft, secured the pair a one stroke victory in the £25,000 event over 36-holes of the PGA Sultan Course with Marriott St Pierre’s Craig Dun and Alan Beach second following a fine 64. Dukinfield began the day in a share of the lead and five birdies in six holes from the fifth, including Warburton notching a second successive two on the par three eighth, saw them surge clear. But as the tension mounted, the duo could only muster one more birdie on 13, leaving Dun and Beach to come within a whisker of snatching the £5,000 first prize. “It was a very stressful last three holes because everyone got back to us,” admitted Green. “I missed a chance on 14 and on 17 a little four footer for birdie so it made it all bit harder. I also stuck it in the water 16 although got up and down for a great par. “Suddenly 18, without thinking it was such a difficult hole over the last few days, became a really hard hole. I was relieved to just get the drive away and hit a nine iron to 15 foot and dollied it up knowing I only needed four. IT’S business as usual at Standish Golf Club despite reports that it had closed for the second time less than two years. But manager and professional Stuart McGrath admitted he is worried about the future after a dramatic fall in pay-and-play customers. And he blamed the 12-week closure for road works on Rectory Lane where the course is based. “It was during the height of the season and people from the Bolton and Chorley areas could not reach us unless they took a big detour. They simply went elsewhere,” he said. McGrath heads a team of local business people that took over the club from the Manchester liquidators last year, forming a new company which leases the buildings and the course from the owners, Morris Homes and Persimmon Homes. Meanwhile, McGrath and 19-year-old clubmate Mike Connor were off to Las Vegas earlier this month to compete in the Virgin Atlantic PGA National Pro-am Championship. The pair qualified for their Stateside adventure, supported by SkyCaddie and BMW, with victory in the regional qualifier at Delamere Forest in July and and linked up with 15 other pairings. IT was D-day in Turkey as Downes Crediton and Dukinfield set the pace in round one of the Lombard Challenge, a PGA Pro-Captain tournament. The two clubs were drawn together over the PGA Sultan Course at Antalya Golf Club and spurred each other on as they both carded seven-under-par rounds of 64. Ashbourne and Marriott St Pierre are hot on their heels tied third after 66s with Strathaven and Westerham two shots further back in fifth. Malden and Shirland share seventh place with 69s while Mundesley and Northampton had one under 70s with the second and final round of the betterball strokeplay event concluding tomorrow. 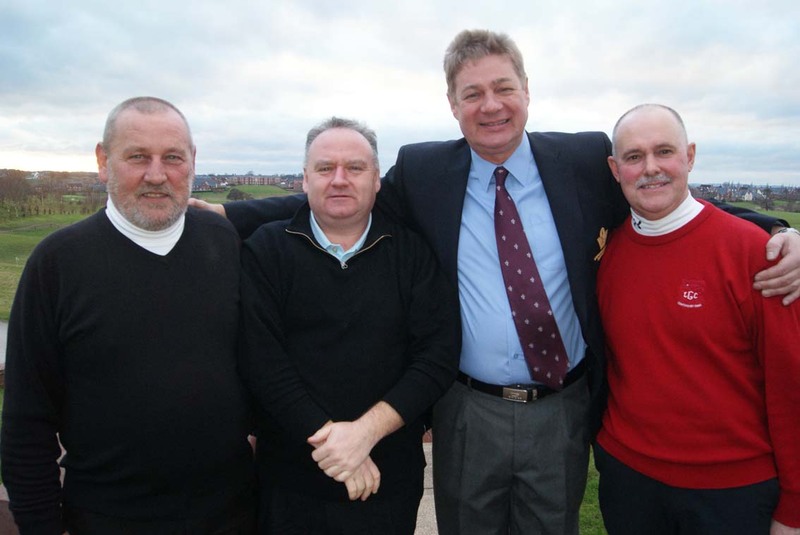 Despite the early morning sun, Dukinfield, represented by PGA professional David Green and captain Steve Warburton and their Downes Crediton counterparts Barry Austin and Tony Cockayne, were slow to warm up in the £25,000 event with just one birdie, courtesy of Cockayne on the par five fourth, between them in the opening six holes.“It wasn’t really happening we were just plodding along getting pars and then I birdied seven, the captain made a two on the eighth, and I holed a monster on nine and that kick-started us,” said Green who birdied the last three holes. For Warburton, a safety manager who plays off 14, it was a memorable day, the odd blip notwithstanding.“I had four bad holes which were disasters but other than that I was quite happy,” he said. field in the Manchester Alliance on home territory of Warrington. The Birchwood ace grabbed 41 points in his five-under return but he was only a one clear of consistent Steve Parry, from the North West Golf Academy, and Order of Merit leader Graham Cox, from Davenport. 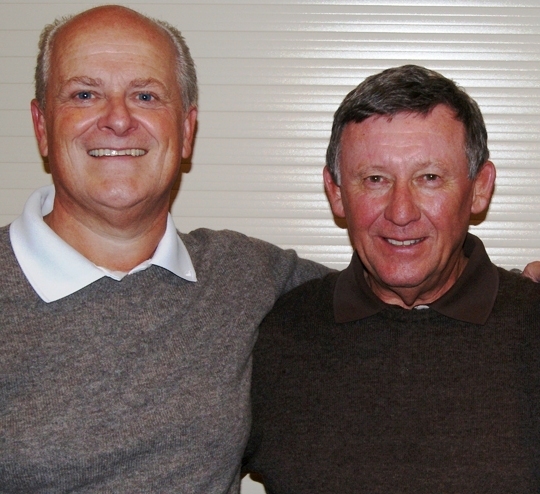 Another Alliance stalwart, Peter Barber, enjoyed the first-time partnership of Didsbury clubmate Chris Cyprus as they amassed 46 points to win the pro-am on countback from Steve Parry and Hart Common’s Tony Roberts. Am-am winners Crompton and Royton’s Steve Moores and Jordan Flint who won on 44 points counback from Brian Carroll (Bolton Old Links) and Mike Wallace (Hart Common) and Lymm’s Paul Varrinder and Keith Harris. 10 finish to get a start at Wentworth, finished in a tie for seventh place in the 54-hole tournament at Antalya. Smith, who bids for his European Tour card next month at the qualifying finals in Spain, was four-under-par for the tournament after rounds of 73, 69 and 67. But all the plaudits went to winner Richard Wallis who snatched a dramatic victory after a thrilling back nine which had seen Simon Lilly storm into contention with a superb seven-under-par 64 – the best round of the week over the acclaimed PGA Sultan Course. Also in the frame were Wallis’s playing partners David Higgins and Paul Streeter but the Walmer & Kingsdown pro delivered what proved to be the decisive blow when he arrowed in a five iron to seven feet on the par five 16th to set up an eagle having come off a bogey on 15. It was the perfect riposte to Lilly who minutes earlier had birdied the 16th hole himself to go in front at 13 under par. The Wellingborough pro saw his dramatic last day charge halted with a bogey on the last to give Wallis some precious breathing space. The ultra consistent Higgins (Waterville Links) also had a putt on 18 to force a play-off after Wallis bogeyed too but saw his effort shave the hole. Wallis secured the win with rounds of 65, 67 and 68 which left him 13 under for the tournament – a stroke ahead of Lilly and Higgins. Rothley Park’s Matt Cort was fourth on 11 under with former champion Streeter fifth on eight under. The Deal 30-year-old pocketed a cheque for £2,0000 but more significantly for his aspirations of getting on tour, earned starts in the BMW PGA Championship, Wales and Scottish Opens plus a handful of Challenge Tour events. Also among the qualifiers was former Chorley and Northenden professional Paul Wesselingh, from Kedleston Park, who finished ninth on three-under. PGA Play-Offs in Turkey to put a place in next year’s BMW PGA Championship within grasp. The Leeds Cup winner and Lancashire PGA champion is level par for the 54-hole tournament and is one of five players in a tie for eighth place – 10 shots adrift of leader Richard Wallis whose gritty second round 67 at Antalya Golf Club leaves him 10-under with former champion Paul Streeter lurking two shots back after a superb 65. The winner of the £15,000 event will earn a number of European and Challenge Tour starts with the top 10 of the 24-strong field qualifying for the BMW PGA Championship. And Smith gets another shot of the big-time when he competes in the European Tour School finals in Spain next month. 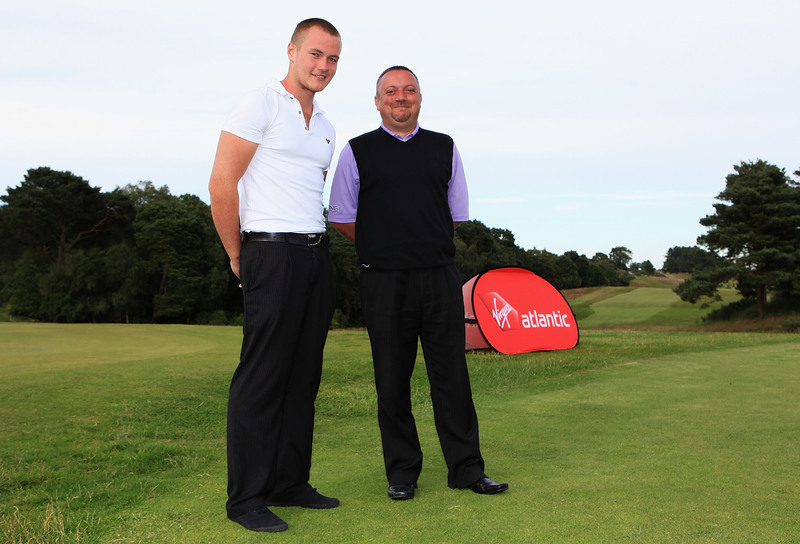 The former European Tour player, who top finish this year was fifth in the Virgin Atlantic pro-am at Delamere Forest, eclipsed a 55-strong field with a four-under-par 68. It left him a shot ahead of his pal Andrew Murray, the 1989 European Open champion, and Freddy Valenti who recently moved from Pryors Hayes to take over as club professional at Poulton Park. With three out of six fixtures played, the series goes into cold storage until March with a return to Hoylake. 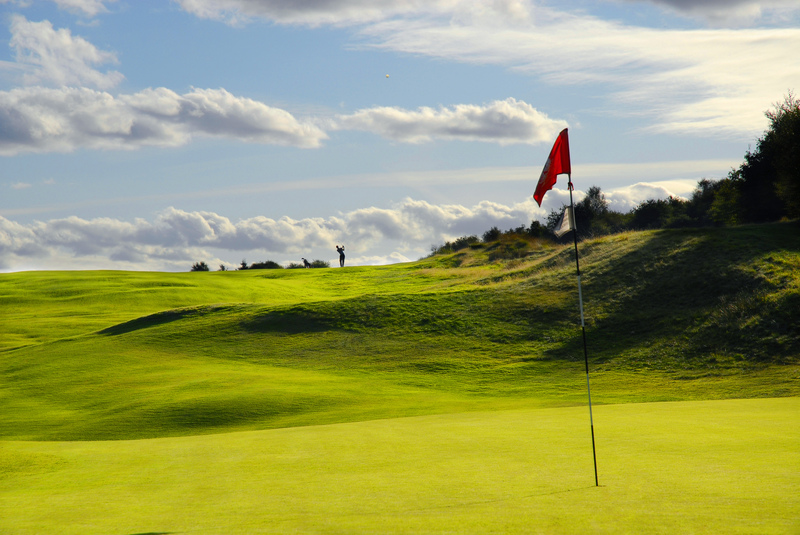 Other dates: March 19 (Formby); April 16 (St Annes Old Links). for a winning 43 points as top pro- five points clear of Phil Archer (Birchwood), Steve Parry (NWGA), James Hopley (Hazel Grove) and Richard Booth (Hale). Booth found a great partner in club colleague John Webb as they posted a massive 47 point to top the pro am section and win an Alliance pro-am for the first time in their club’s long history. Next in were Graham Cox and Paul Verrinder who won a cpo on 45 points from Cox’s Davenport boss Tony Stevens and his Styal partner Keith Harris. There were new names in the am am section as Dunscar’s Jeff Bennett and Kevin Marsden won a cpo on 43 points from regular winners Brian Carroll (Bolton Old Links) and Mike Wallace (Hart Common). 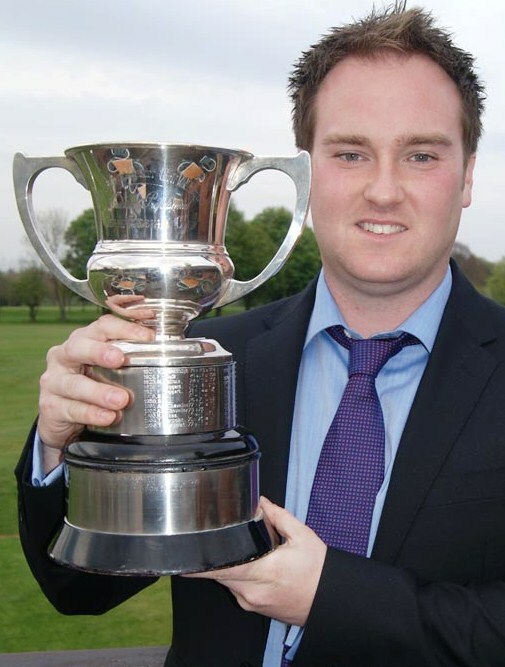 DUKINFIELD captain Steven Warburton will aim to prove he is a chip off the old block when he tees up in a national PGA final later this month. Warburton has been having chipping lessons with the club’s PGA professional David Green who he partners in The Lombard Challenge in Turkey. 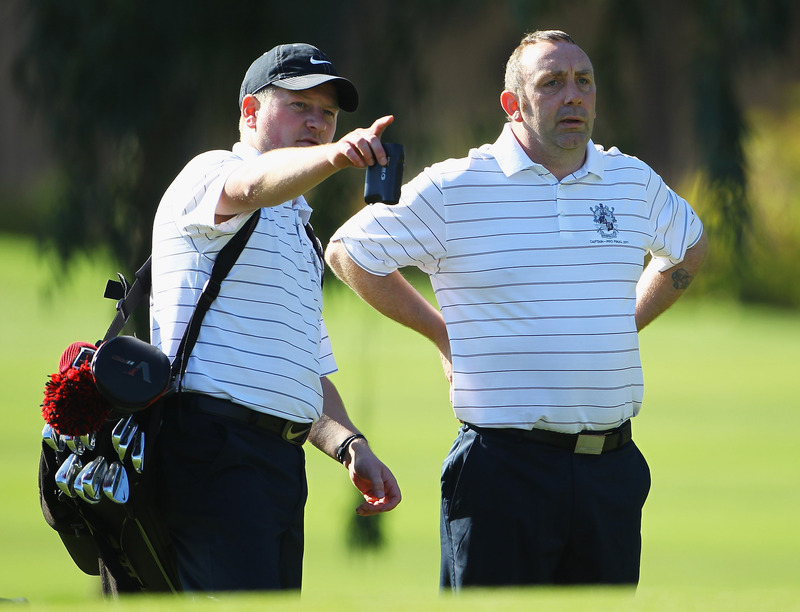 The pair earned their place in the PGA Pro-Captain Tournament after winning their qualifier at Dunham Forest Golf Club in August and will now take on nine other clubs in the £25,000 final which will be held over 36-holes at Antalya Golf Club’s PGA Sultan Course from November 25-26. And Warburton believes he and Green have nothing to lose – so they plan to go for it! Warburton, who is a safety manager, said: “David is a tremendous player and we have to feel as if we have a chance of winning. “I’ve been taking lessons from David and he’s been trying to improve my chipping. Warburton, who has been playing golf for 29 years, admits he is proud to be representing the Manchester club in Turkey. Warburton revealed their participation in the final has created plenty of interest among Dukinfield club members. 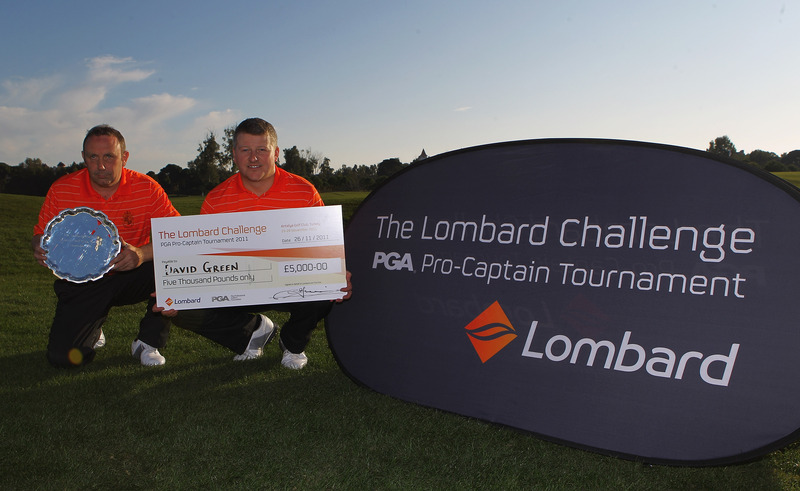 For Lombard meanwhile, the PGA Pro-Captain event has been a welcome return to golf following their long association with the PGA National Pro-Am Championship. As managing director Alexander Baldock explained: “Having previously enjoyed a very successful relationship with the PGA in sponsoring the PGA National Pro-Am we were confident that partnering with the PGA to present The Lombard Challenge, a PGA Pro-Captain Tournament, would be an exciting initiative to be part of and one that we are very proud of too – and it has proved just that! DIDSBURY father and son duo Mike and Danny Wardrop made it back-to-back pro am victories in the latest Manchester Alliance as they racked up an impressive 46 points to win the pro am section on a day of super scoring at High Legh Park, writes Geoff Garnett. (Ashton-on-Mersey) with another Didsbury pair, assistant Tom Murray and Malcolm Wells losing out on countback. But Tom showed the quality he has inherited from his dad and Alliance life member Andrew as he posted a fine 64 which equated to 42 points to share the top pro spot with Steve Parry (North West Golf School). The top am-am pair were Cheadle regulars Andy Hall and Mick Holmes who won on a 46 points countback from Ian Hales and John Davies (Chorlton) with Brackley pair Rod Taylor and Marcus Corfield completing the prize-list with 42 points. EUROPRO Tour Danny Wardrop racked 39 points to win the individual prize in the Manchester Alliance fixture at Romiley – and complete a double by clinching the pro-am section with his dad Mike. 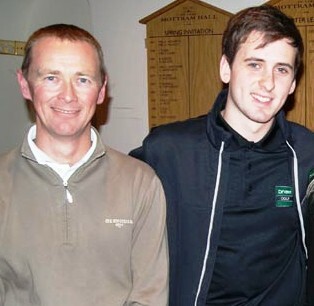 The Didsbury duo’s return of 43 pipped Swinton Park’s Dave Smith and Jimmy O’Reilly on countback. Meanwhile, the consistent John Riley found a handy partner in Ian Taylor, both from Swinton Park, to win the am-am with 42 points. Brian Carroll from Bolton Old Links and Hart Common’s Mike Wallace were second. THERE was a full field of 31 teams for the Manchester Alliance Team of Four competition at Shrigley Hall, writes Geoff Garnett. Gatley professional Tom Bolton put in one of his best rounds in the Alliance with a superb score of 40 points seeing him into the top pro spot ahead of Styal’s Jon Cheetham, 39, and Springfield Park’s Andrew Terry one further back with regulars stars such as David Smith, Graham Cox, Danny Wardrop and Phil Archer left trailing in their wake. The top team was Brackley, Rob Taylor, Ray Brough, Simon Cudlip and Marcus Corfield amassing 82 points to win countback from Knutsford pro Tim Maxwell, Moby Rawthore, George Drakonakis and Ross Birch. Taking the remaining prize with 80 points were Tom Bolton and Gatley clubmates Gordon Scott and Martyn Bonner with Cheshire champion Fraser McLeod from Hazel Grove. Fielden as trophy holders David Smith and Kath Bentley, from Swinton Park, finish third with 35. Cheadle’s Andy Hall and Pam Ellison led in the am-am section with 33 from Manchester pair Gareth Clark and Tracey Capel who beat the host club’s Moby and Cath Rawthore on a 31-points countback. 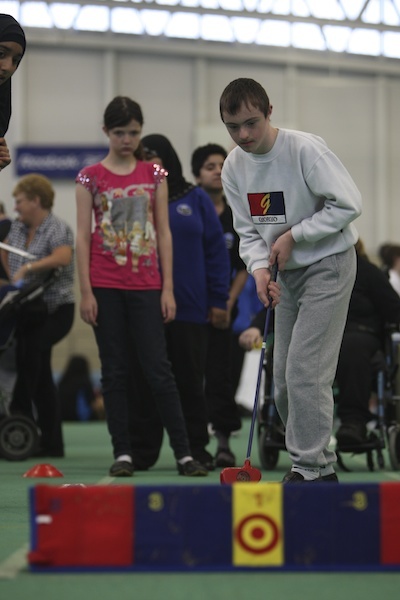 MORE than 80 children from Greater Manchester took part in The First Tee’s Inclusion Fun Day at Sportcity. This is the second festival of the year, bringing children with disabilities together to have fun, and for some, experience golf for the first time. The teams of 10 made their way around nine activities which were all designed around the nine core values highlighted by the First Tee, including honesty, respect and confidence. The event was organised by The First Tee Manchester and Manchester Schools’ Sports Partnership, and was supported by Manchester’s Lord Mayor – Harold Lyons. Specially trained junior leaders from Abraham Moss School were also on hand to guide younger participants through the activities. Commented Molly Whelan, executive assistant of The First Tee of Manchester: “We were totally thrilled about how our second inclusion day went, the turnout was great and the kids had a really enjoyable day! Seeing so many children learning new skills and having fun at the same time makes what we are trying to achieve so worthwhile. I would also like to take this opportunity to thank Sportcity for the use of its great facilities. DENTON’S fine young team of single handicap players enjoyed a great victory in the final of the Williams BMW Junior Challenge in the traditional venue of Lowes Park. They had to give their opponents Leyland a total of 62 shots and the final was taken to the wire of the last game before they emerged with a gripping 4-3 win. It was neck and neck all the way as Leyland took the first match as Louis Wright was one up against John Livingston. Vincent Shanaghy quickly levelled as he beat Oliver Grener 5&4 and Connor Sutton gave Denton the lead with a one-hole win over Matt Platt. Leyland showed their battling qualities as Oliver Jeffers beat Joe Nuttall 3&2 and Joe O’ Donnell gave them a vital lead with a 5&4 win over Callum Grindle. The Denton junior Captain Ben Pollit kept his nerve with a one-hole win over James Parker to leave the destiny of the trophy in the hands of the last pair on the course. Denton’s three handicapper Aiden Murphy registered a two-hole win over Matt Cragg to see the trophy proudly claimed by his jubilant team after a final that was a tribute to the junior organisers and players of both teams from an original entry of over 70 clubs.